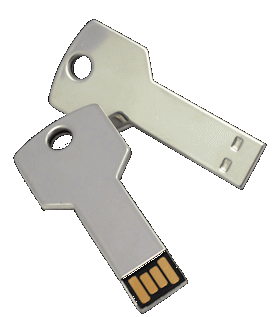 A keyfile is a file whose content is combined with your password to increase the strength of your password. Until the correct keyfile is provided, it will be impossible to log in to your account. The keyfile will provide better protection against keystroke loggers, they will not be able to access your account without your keyfile. It will also improve protection against brute force attacks (brute force is when someone tries to guess your password). Your password will always be needed even if you have an USB-key, the combination of your password and your USB-key will take your account to the highest security level. The keyfile consists of 512 random bits. Make sure the USB is FAT32 formated, if it's FAT32 formated it will work with both Linux, Windows and Mac OS. Our USB-key option works only with our Webmail system, you can not use it as a Login-key with other email clients.